Is Docklands sinking Melbourne @ 5 Million? Docklands has been roundly and rightly criticised for its appalling urban design but it has nevertheless been spectacularly successful in attracting business to locate by the water. In fact it has been so successful that I wonder what the implications are for office space markets in the rest of Melbourne, not just in the CBD and near-CBD markets, but in particular in the six major suburban activity centres envisaged in Melbourne @ 5 Million i.e. Footscray, Broadmeadows, Box Hill, Ringwood, Dandenong and Frankston. The recent announcement that the headquarters of the National Broadband Network Company would be located in Docklands merely continues the momentum already established in the area in and around the old docks. 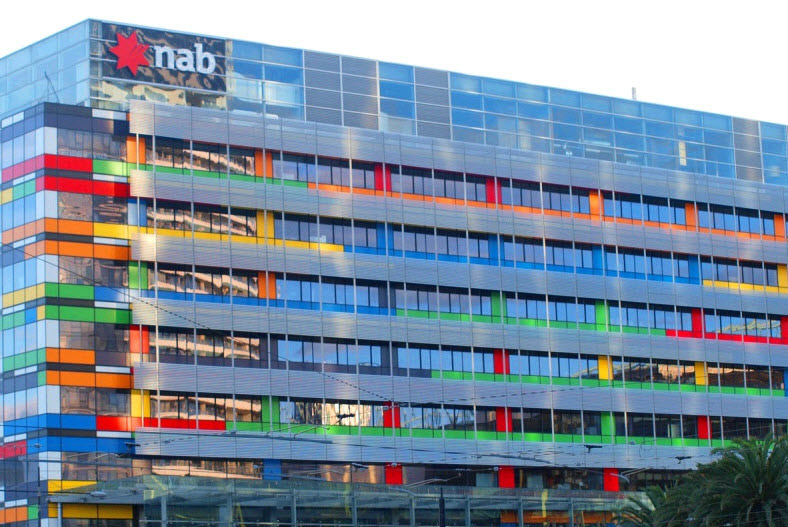 Current tenants of this end of town include the National Australia Bank, ANZ, Myer, National Foods, CSC, Fairfax Media, Customs, Channel 7, AFL and the Australian Tax Office. Other organisations planning to move to the area include Melbourne Water, BP, Channel Nine and Chartis Australia. Even the Demons have been mooted as prospective tenants of a new training park (or stadium) proposed for the precinct. In 2006, Docklands proper had around 12,000 jobs and a population of about 4,000. When completed, it is expected to accommodate 20,000 jobs and 25,000 people. “Some businesses prefer the bigger floor plates available in the Docklands – typically they are in excess of 3,000 sq m and can be up to 10,000 sq m, whereas most A grade buildings in the traditional part of the CBD have floor plates of about 1,000 sq m”. Buildings that are low in height and broad in footprint are particularly favoured for back office activities like processing of financial information. Firms usually choose to locate these activities in lower cost locations like the suburbs, where it is cheaper and easier to acquire larger sites and construct buildings with large uninterrupted floors. Usually only the more strategic functions that are heavily reliant on face-to-face communication with other firms and organisations are located in the relatively expensive CBD. It seems however that the significant increase in the size of the traditional CBD due to the development of Docklands, created conditions that enabled firms like NAB to consolidate all of their Melbourne headquarters operation in one place. This “elasticity” of the city centre must have significant implications for the distribution of jobs elsewhere in the metropolitan area. What is particularly interesting in terms of strategic planning are the implications of Docklands continued growth – and especially its ability to cater for consolidated corporate operations – on the ambitions of Melbourne @5 Million to create major job centres in the suburbs. In late 2008, Melbourne @ 5 Million designated six suburban locations as CBD-like Central Activities Districts. This polycentric conception of the metropolitan area constituted a significant shift from Melbourne 2030, which had emphasised the primacy of the city centre as a job location and largely saw suburban centres as retailing places. However the reality is that these centres never had much chance of attracting significant numbers of the “CBD-type jobs and commercial services” envisaged by Melbourne @ 5 Million. For one thing, the long term decline in job numbers in the CBD started to turn-around in the mid to late nineties. For another, these centres were previously designated under the Transit Cities program and were simply re-designated as CADs – there’s not much evidence that their attractiveness as job locations was ever seriously evaluated. More importantly though, the high-level corporate and producer services jobs that characterise the CBD have virtually no interest in Melbourne’s middle and outer suburbs. There has been some limited movement to near-CBD locations and even some inner city locations, but not to the suburbs. These are CBD firms for a reason. Now Docklands looks like it could undermine whatever prospects the suburban CADs actually have to become major job centres. Putting aside the pretensions to CBD-type grandeur in Melbourne @5 Million, major suburban centres should be prospective locations for the sorts of routine, back-office functions that do not require an expensive CBD location. It seems however that Docklands is able to offer a more attractive trade-off between rent, space and accessibility than even elsewhere in the inner city, never mind the suburbs. It is evidently such an attractive offer that major corporates can consolidate virtually their entire metropolitan operations there, thereby reinforcing the primacy of the city centre for corporate employment. Melbourne 2030 largely ignored the geography of employment and [email protected] 5 Million doesn’t even mention Docklands, let alone discuss how the CADs might attract CBD-type jobs. The Government should now take a good look at what impact Docklands is having, and will have, on metropolitan employment strategy.